For January, we are continuing our dialogue with a second round that focuses on movements in East and Southeast Asia. 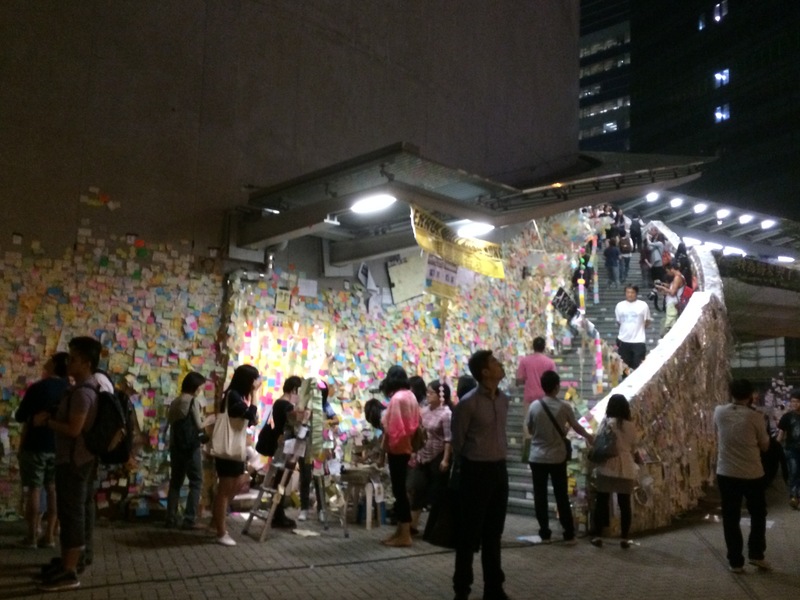 The Occupy Central and Umbrella movements in Hong Kong have attracted the attention not only of social movement scholars, but of the global media as well. As the world watches the movement engage the governments of Hong Kong and China, we want to take a step back and reflect on the work the movement has done to bring it to this point, as well as on movements in broader East and Southeast Asia. Keeping in mind that movements emerge in particular contexts, we asked our contributors to focus on the ways that movements in the region have particular challenges and tools. We consider such questions such as: How have technology, the Internet, and broader media played a facilitating or suppressing role in Southeast Asian movements? How have the traditional religions of the region, and the imported religions of colonizing powers, influenced movements there? How has the emergence of China as a world power affected movements in the region? To what extent have international forces, transnational movements, and diffusion played a role in supporting movements in the region? What have movements in the region taught us about repression and authoritarian states? Thank you to all of our contributors for their submissions, below is a list of their essays. In October the principal of Hong Kong’s Shung Tak Catholic English College posted an open letter opposing Occupy Central protests, which was widely circulated and discussed on social media in both Hong Kong and mainland China. The letter asked, “Who will reap the greatest benefits if Hong Kong becomes chaotic? Who will reap the greatest benefits if China becomes chaotic?”1 The principal, Kung Kwong Pui, then accused the United States government for stirring up trouble and destabilizing East Asia. The media has portrayed current Asian demonstrations, such as the Umbrella Movement in Hong Kong and the Sunflower Movement in Taiwan, as unsuccessful because the protesters’ requests have not been met. By another measurement, the awareness of issues and recognition of the power possible by targeted and collective peaceful action, they have been very effective. The long-term residual effectiveness of the Asian movements and other protests across the globe authentically can be measured only in small increments with some of the most significant and basic results at this point not always visible but rather felt at a deeper level of understanding. Protests are influencing people to change their beliefs, mindsets, and attitudes which are psychologically the most difficult elements to modify, but which ultimately are the most potent factors in creating authentic social change. The evidence is that more and more people in increasing numbers of nations are expressing dissenting opinions and demonstrating their right to be heard regarding issues affecting their lives. Talking Tactics for the HK Umbrella Movement?